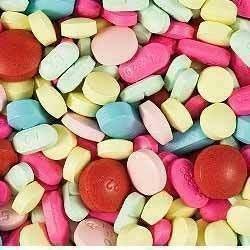 Leading Manufacturer of diclo, pcm and chlor tablet and jcenate tablets from Jaipur. 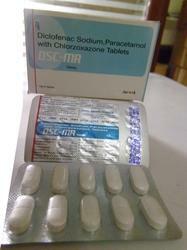 We are one of the leading manufacturer, trader and supplier of supreme quality Diclo, PCM and Chlor Tablet. The offered tablets are precisely processed utilizing high grade ingredients and progressive techniques under the direction of pharmaceutical experts. Our valuable patrons can avail these tablets from us at reasonable prices. Also, our quality examiners test these tablets upon various parameters before delivering to customers. With the help of our team of experienced professionals, we manufacture, trade and supply superior quality Jcenate Tablets. Offered products are used as medicine for respiratory tract infections. Moreover, customers can avail these products from us in various packaging options. Our provided products are properly tested on predefined parameters in order to ensure their effectiveness.